You wanted a full suspension recumbent trike? You wanted a folding trike too? You want it to be made in the USA? You want the Catrike Dumont! The Catrike Dumont has all the qualities that make a top-notch Catrike, a Catrike. It handles great, and the 30-speed gearing is fast and accurate. Check out our motor options if you want an electric trike. 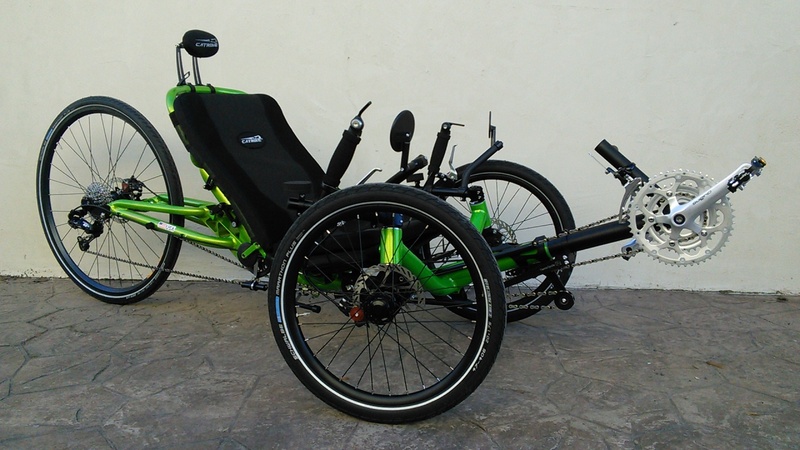 The Catrike Dumont is for riders looking for comfort and impressive handling characteristics on long stretches of beautiful roads or for everyday use. 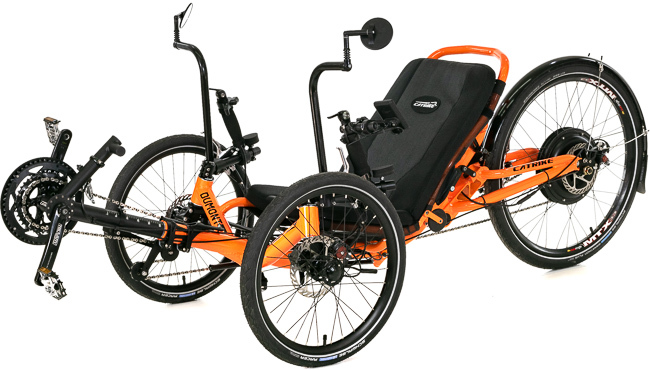 the Dumont is an incredibly practical trike thanks to Catrike's exclusive folding mechanism incorporating the seat, frame, chain managing kickstand and rollers. It will fit in your car, apartment or you can fit it in your garage for easy storage and portability. 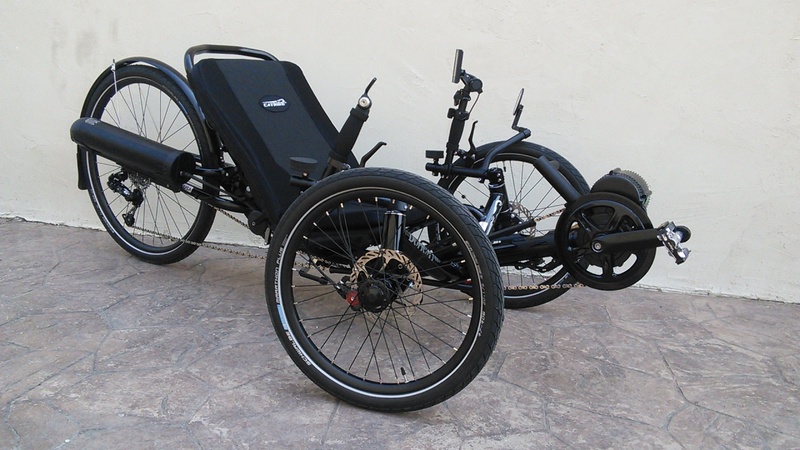 We are building more and more electric trikes and the Catrike Dumont is a great candidate for a motor. All of our motor kits allow you to choose the level of assist you want. That means that as you pedal the motor kicks in automatically providing additional power to your own pedaling efforts. We also provide a thumb-actuated throttle with our motor systems that act like the gas pedal in your car. Don't want to pedal? No worries, just push the throttle and go! 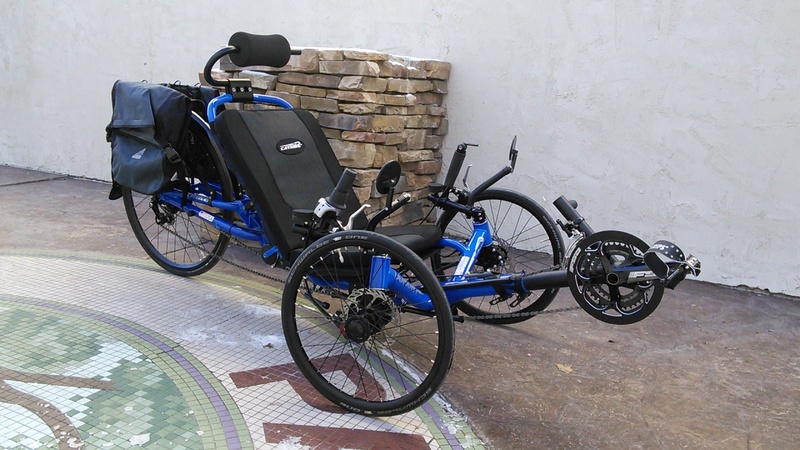 Combining their award-winning engineering, design and techniques, Catrike has created a front suspension for the Dumont that creates a more dynamic ride with anti-dive and anti-roll behavior without needing a torsional bar between the front ends of the trike. The rear swing arm, with a high travel rate, pivots on an over-sized hollow alloy axle, actuating the air shock in a progressive manner through a linkage system that pivots through the frame. This allows a complete transfer of all pedal power to the rear wheel with complete efficiency. The best part? Everything is designed and manufactured at home in the United States. Front suspension is not the Dumont�s only design innovations. 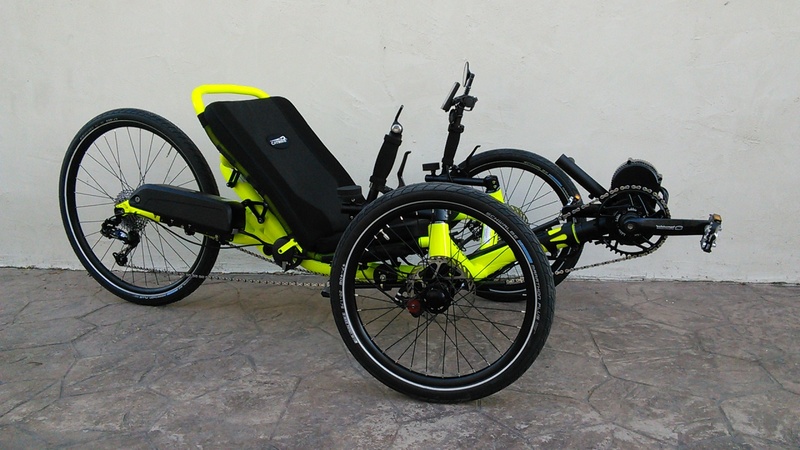 Catrike also redesigned the rear suspension to increase lateral stiffness with a new yoke, yoke pivot, axle and a fully triangulated swing arm. The yoke redesign includes oversized 37mm ball bearings, triangular side tunnels, and underside opening. The result is a 53 percent increase in stiffness. The updated yoke pivot boss now has a 360 degree three axis profile and a 25mm through axle. 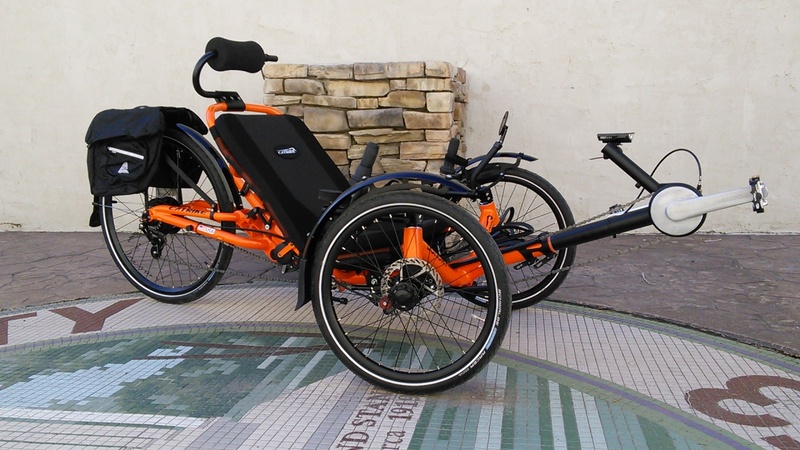 Catrike has had folding models for a number of years, and the Dumont is no different from other models. It features Catrike's well-designed folding hinge. Folding is simple and quick so that you can pack it up and take it on the road. Folding and unfolding the dumont takes a matter of seconds. The hinge is durable and functions incredibly well. Why complicate things? 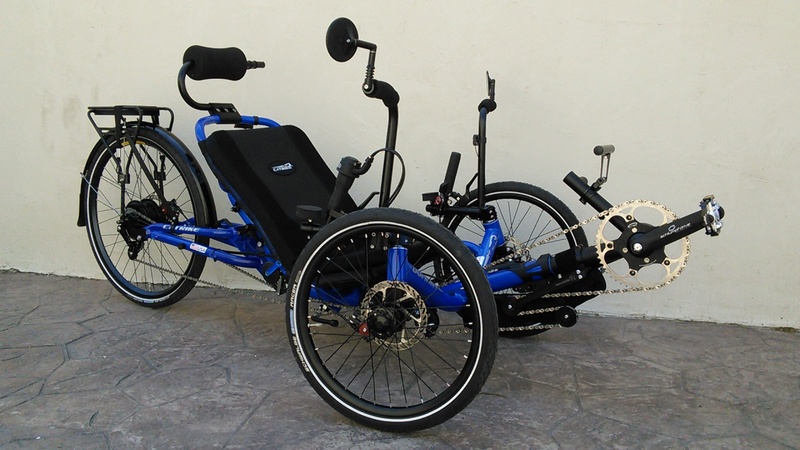 The folding mechanism incorporates the seat, frame , chain managing kickstand and rollers. The small wheels on the frame make it a breeze to roll from location to location, and the kickstand is great for storage in your garage. Catrike doesn't do anything half way, which means this hinge will last for miles to come. We love it. 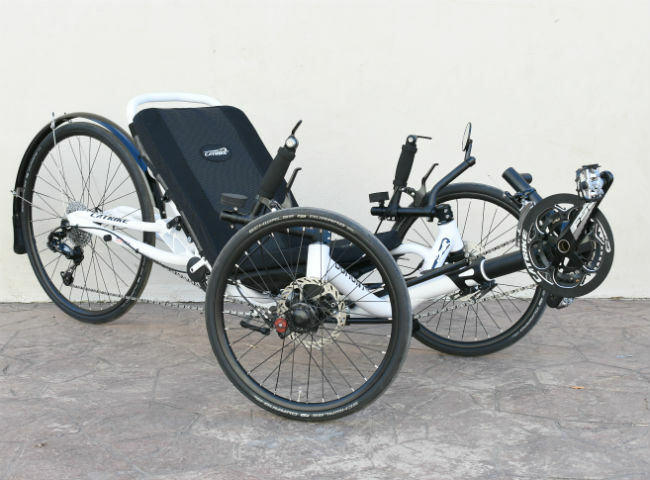 Catrike has released a recumbent to rival other models. 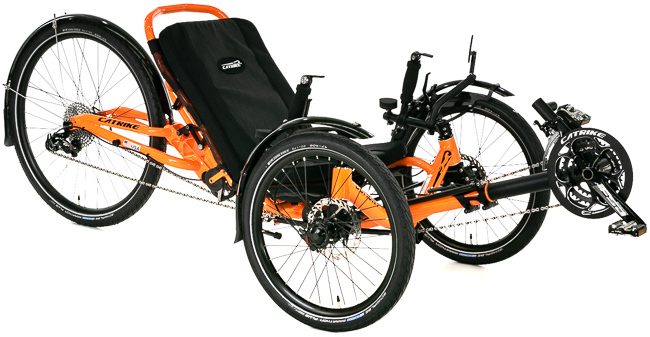 The Dumont features full suspension, a wide range of gears, a large 26-inch rear wheel, and it folds! If you're looking for a comfortable ride, look no further. We found one for you.